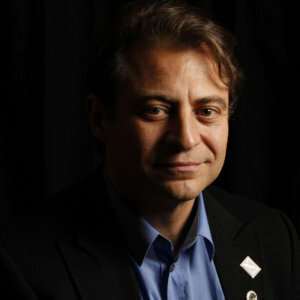 This post is written by Singularity University Co-Founder and Chairman Peter Diamandis. We are all unknowingly addicts. Addicts of bad news. Twenty-four hours per day, seven days a week, the news media is constantly feeding us negative stories on every digital device in their arsenal – our mobile phones, tablets, computers, radio, television and news feeds. Every murder, terrorist plot, economic downturn, no matter how remote, is brought to us live, instantly, over and over again. The reason for this is simple. Our brains are hardwired to pay far more attention to negative news, than positive stories. Millions of years ago as our brains were evolving, if we missed a piece of good news, that was an inconvenience, but missing a piece of bad news could mean the end of your life and your germ-line. For that reason, we’ve developed portions of our brain that are constantly scanning for bad news and thereafter putting us on high alert. The old newspaper adage, ‘if it bleeds, it leads’ is as true today as it was a century ago. So it’s no wonder that people think the world is falling apart, and many are in a very dark contemporary mood. But what is curious about this situation is that in nearly every measurable way, the world is much better off than it has ever been. I’ll start with poverty, which has declined more the in the past 50 years than the previous 500. In fact, during the last 50 years, while the population on Earth has doubled, the average per capita income around th world (adjusted for inflation) has tripled. We’re not just richer than ever before, we’re healthier as well. During the last century, maternal mortality has decreased by 90 percent and child mortality by 99 percent, while the length of the average human lifespan has more than doubled. As Steven Pinker has made clear, since the middle ages, violence on Earth has been in constant decline. Homicide rates are a hundred-fold less than they were when they peaked 500 years ago. So we’re not only healthier, we’re safer as well. If your measure of prosperity is tilted towards the availability of goods and services, consider that even the poorest American’s today (those below the poverty line) have access to phones, toilets, running water, air conditioning and even a car. Go back 150 years and the wealthiest robber barons couldn’t have hoped for such wealth. Right now, a Maasai Warrior on mobile phone has better mobile communications than President Reagan did 25 years ago; And, if he were on Google, he would have access to more information than President Clinton did just 15 years ago. We are effectively living in a world of communications and information abundance. Even more impressive are the vast array of tools and services now disguised as free mobile apps that this same Maasai Warrior can access: a GPS locator, video teleconferencing hardware and software, an HD video camera, a camera, stereo system, vast library of books, films, games and music. Go back 20 years and add the cost of these goods and services together—and you’ll get a total well in excess of a million dollars. Today, all these devices come standard with a smart phone. During the last two decades, we have witnessed a technological acceleration unlike anything the world has ever seen. Exponential progress in artificial intelligence, robotics, infinite computing, ubiquitous broadband networks, digital manufacturing, nano-materials, synthetic biology, to name a few, put us on track to make greater gains in the next two decades than we have had in the previous 200 years. We will soon have the ability to meet and exceed the basic needs of every man, woman, and child on the planet. Abundance for all is within our grasp. But it won’t happen without your help. While accelerating technology is an awesome force, in itself it is not enough to bring on this golden age. However, there are three additional forces emerging—and this is exactly where you come in. The second of these forces is the rise of the Do-It-Yourself (DIY) innovator. No longer content with hot-rods and homebrew computers, in the past decade, DIY’ers (working both in small teams or collectively, via crowdsourcing) have made major contributions to fields like healthcare, energy, education, water, freedom—areas that were once the sole province of large corporations and governments. This means that whatever challenges we face in the world—climate change, AIDS in Africa, energy poverty—more than ever before, we are now empowered to individually help solve these problems. And it’s our ability to do so, this newfound power of the maverick DIY’er, that is the second of our four forces. The same technologies that enabled the rise of the DIY Innovator have also created wealth much faster than ever before. Tech entrepreneurs like Jeff Skoll (eBay), Elon Musk (PayPal), Bill Gates (Microsoft), etc., became billionaires by reinventing industries before the age of 35. Maintaining their appetite for the big and bold, they are now turning their attention and considerable resources towards global betterment, becoming a new breed of philanthropist—technophilanthropists—and, as such, yet another force for abundance. We are living in a time of unprecedented opportunity. So while I can’t tell you to ignore all the negative news coming your way, I can say that the future, much like the present, is going to be a whole lot better than you think.